Delivering top-quality service to our guests underpins all our work. A part of that excellence comes from our commitment to working responsibly – in a way that cares for our people, our community and for the natural environment. To lead our efforts, we have introduced a rain water harvesting system for all our grey water needs in an effort to conserve treated water. We have also incorporated solar panels to heat our water, weather permitting!!! 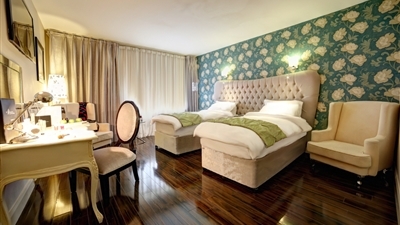 Lighting in the Hotel is predominantly LED lighting and highly energy efficient. We are seeking to minimise the environmental impact of our own operations – through continuous monitoring, for example, of our use of water, electricity and gas – and also from the products and services we use in the hotel. We have, for example, switched to using cleaning products that have lower environmental impact. We are taking a range of steps to raise awareness of the issues with our staff, our waste reduction team is continuously looking to ensure that everything we do is done as efficiently as possible. We currently recycle tins, glass, paper and cardboard.